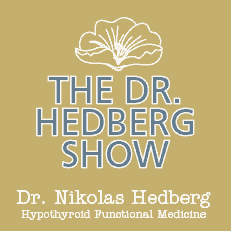 Boost Your Immune System - Dr. Nikolas Hedberg, D.C.
Would you like to boost your immune system and stay healthy this cold & flu season? Read on to find out what simple diet and supplement strategies you can follow to beat these viruses in their tracks. Your immune system is constantly protecting you from invading organisms at a level of complexity most of us cannot comprehend. 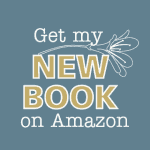 Modern medicine focuses mainly on the invading organisms as the source of disease without an appreciation for the beauty of your immune system’s ability to protect you from harm. Two people can be exposed to the same organism but only one person may actually manifest symptoms. Why would one person get sick but not the other? Many factors can answer this question such as the current state of the individual’s unique biochemistry, genetics, environment, toxic load, stress levels, nutritional status, state of mind etc. Every day your body accumulates a specific amount of wear and tear. 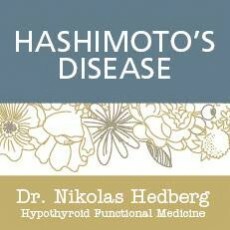 It is up to your immune system to repair the daily wear and tear you experience. It is only when there are immune repair deficits that your body begins to break down and cannot fight off an infection. If your body is functioning at a level that puts you in the best possible position to defeat an organism then you will most likely not get sick. There are exceptions to this such as the HIV virus, but in most cases, you can win the battle. There are many dietary strategies, supplements, and herbs that will help support your immune system. The first thing to look at is your dietary protein intake. The immune system requires high energy levels and amino acids from protein sources to mount an immune assault on an invading organism. A condition known as PEM or protein-energy malnutrition can lead to immune system suppression and make you more susceptible to infection. In addition to high-quality lean protein sources, a good quality whey, pea, or hemp protein powder can provide your body with an extra boost of amino acids. Processed carbohydrates and sugar can lead to immune system suppression. A study published in the American Journal of Clinical Nutrition found that white blood cell activity was reduced by 50% for 5 hours after ingestion of 100 grams of sugar. Stay away from sugar! Essential fatty acids from fish oil such as EPA and DHA help to balance the immune system as well as act as precursors for vital immune system chemicals. Dietary fiber directly supports the immune system by stimulating the lymphoid tissue in the gut where 70% of the immune system resides. Fiber also helps to eliminate toxins and increases the number of healthy gut bacteria. Increase fiber intake from fruits, vegetables, beans, and lentils. Vitamin D is not actually a vitamin but a prohormone that is intricately involved in a healthy immune system. You must attain 20-30 minutes of sunshine every day on your entire body in order to produce enough vitamin D, so supplementation is usually required. Vitamin D supplementation has been shown to reduce the rate of upper respiratory infections. Vitamin D can be taken at a dose of 800-2,,000IU/day safely and effectively depending on your age and current health. Higher doses are used in our patients with autoimmune diseases and for genetic reasons. Vitamin A deficiency is the most common vitamin deficiency in the world. Vitamin A is vital for healthy mucosal barriers such as the intestine, lung, and sinuses which account for your first line of defense against invading microbes. Vitamin A is required for white blood cell division, natural killer cell activity, lactoferrin secretion and improved immune system communication and antibody responses. We can’t talk about immune system function without discussing the mighty vitamin C. Not actually a vitamin, ascorbic acid is highly concentrated in your immune cells and it is not well known that by the time you have a fever most of your body’s vitamin C stores are exhausted. Vitamin C deficiencies are known to cause immune system suppression and an increased risk of infections including upper respiratory infections. High doses of vitamin C will improve immune cell activity and will reduce free radical production before they can damage your cell’s DNA and cause cell destruction. Vitamin C also boosts natural killer cells, improves immune system communication and boosts T-cell activity. A study published in Military Medicine found that vitamin C supplementation among military personnel consistently reduced the incidence and severity of respiratory infections. 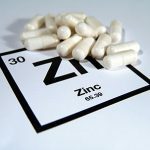 Zinc is a trace mineral found in over 100 different enzymatic reactions in the human body. Zinc deficiencies are linked to increased risk of infections and immune system susceptibilities. Zinc improves immune cell function and enzyme activity. Zinc deficiency suppresses the thymus gland where immune cells mature and are released into the circulation. Vitamin E is a fat-soluble vitamin and one of your most important antioxidants for immune function. A study published in the Annals of the New York Academy of Science found that just 200 IU/day of vitamin E significantly reduced the incidence of common colds in an elderly population over a year. Vitamin E should be taken as “mixed tocopherols” (delta, gamma etc.) instead of just alpha-tocopherol. Vitamin E works synergistically with the mineral selenium which has been shown to improve immune cell function and activity. Just 200mcg of selenium/day for 9 months was found to reduce the HIV viral load in HIV positive patients. Other antioxidants such as lipoic acid and N-acetyl cysteine as well as nutrients that protect the powerhouses of your cells including carnitine and coenzyme Q-10 have all been shown to improve immune cell function and reduce the risk of infection. Protecting your mitochondria which are the energy-producing powerhouses of your cells is a significant underlying mechanism to strengthen your immune system and fight off infections. 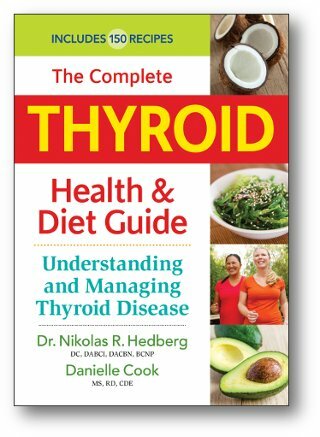 This was actually shown in AIDS patients who were given a cocktail of these nutrients over a 12-week period which resulted in a 24% increase in immune cell count. Glutathione is another antioxidant found in every cell of the body and can be manufactured from amino acids and increased through oral supplementation of N-acetyl cysteine, whey protein, and milk thistle. Vitamin C recycles glutathione in the cell once it has done its job mopping up free radicals. Studies on multivitamins have shown mixed results due to the fact that each multivitamin had varying doses of each nutrient. One study found that a multivitamin preparation that included probiotics reduced upper-respiratory infections in healthy unvaccinated adults. Exercise can be a double-edged sword in regards to immune system function. Prolonged training seems to stress the immune system and increases upper respiratory infections in athletes. However, moderate exercise seems to support and strengthen many immune system functions. Strenuous exercise weakens the immune system by exhausting antioxidant stores, stressing the adrenal gland leading to increased cortisol output and lowering muscle glutamine levels. Vitamin C intake of 1000mg/day was shown to decrease exercise-induced immune suppression. The rule of thumb for healthy exercise is that you should feel energized and would easily be able to do the entire workout over again. Fish oil supplementation inhibits the exercise-induced inflammatory response in some athletes. Quercetin has been shown to positively balance post-exercise immune system functions and reduce upper respiratory tract infections. Most of the immune system suppression among athletes is due to stress on the mucosal barriers in the body and the herb Echinacea purpurea was shown to reduce the mucosal immune suppression post-exercise. The use of herbs and botanical extracts for immune system enhancement has ancient roots in nearly every culture across the globe. The most widely used herb for immune enhancement in the US is Echinacea. Echinacea has been shown to stimulate white blood cell activation as well as natural killer cell activity. These activities have been shown to be antiviral, antifungal and antibacterial. Echinacea has been shown to reduce the frequency, severity, and duration of upper respiratory tract infections. One trial showed that children aged 1 to 5 given a liquid herbal blend of Echinacea, propolis, and vitamin C had 50% fewer upper respiratory tract infections, 68% fewer incidents of otitis media (ear infections), and 66% fewer incidence of pneumonia compared to children given a placebo syrup over a 12-week winter season. Even when the children taking the herbal preparation did get sick they had a 45% shorter duration compared to those taking a placebo. Andrographis paniculata has been used for centuries in traditional Eastern medicine for the treatment of upper respiratory tract infections and sinusitis. The constituents within Andrographis have been shown to possess anti-inflammatory, immune-stimulating, antipyretic, anti-cancer, and antiviral activities. Arabinogalactan is a fiber derived from the Eastern and Western Larch tree which has immune stimulating properties, up-regulates natural killer cells and enhances healthy bacterial growth in the intestine indirectly aiding the immune system. Mushroom extracts such as Cordyceps, Shiitake, Reishi, Maitake, and Agaricus are the most commonly used mushrooms to enhance immune function. Each extract has different immune enhancing properties such as activation of natural killer cells, white blood cells and immune chemical messengers known as cytokines. Astragalus membranaceus root has a deep history in traditional Chinese medicine. Astragalus has immune-balancing, anti-inflammatory, and adaptogenic (stress-relieving) properties. Astragalus extracts have been shown to enhance natural killer cell activity and white blood cells. The term probiotic is a general term used to describe a group of beneficial bacteria that are found in the intestine. Lactobacillus and Bifidobacterium are the most well-recognized and researched group of probiotics that have proven efficacy in irritable bowel syndrome, antibiotic-associated diarrhea, and general gut health. These bacteria enhance immune function by optimizing the mucosal gut barrier thereby decreasing gut permeability or “leaky gut.” This action will prevent viruses and bacteria from entering the circulation and causing illness. Probiotics have also been shown to increase natural killer cell activity, white blood cell activity, and increases antibody responses. Colostrum is the “early” milk produced by cows which is very rich in immunoglobulins and immune-stimulating chemicals. Colostrum has been shown to enhance immune function against various bacteria and parasites that invade the intestine. Lactoferrin is a protein found in colostrum which supports the mucosal immune system and has been shown to have direct antimicrobial activity. Silvercillin is a form of silver that boosts the immune system and is also antibacterial and antifungal. Many people swear by its action when coming down with a cold or flu. Many other plants and extracts have been identified as having anti-microbial, antiviral or antifungal activities. These include Olive leaf extract, Goldenseal, Oregon grape root, Barberry, Larrea, Monolaurin, Elderberry, garlic, Pau d’arco, St. John’s wort, Propolis, green and black tea, tea tree oil, and almost every popular spice in your cabinet-especially Turmeric which contains Curcumin. All of the compounds discussed in this article can be used safely and effectively to boost the immune system and prevent infection. The immune system is an amazing, versatile and complex system which will protect you if you treat your body well and give it the right support at the right time. Consume at least 1.2 grams of protein per kilogram body weight every day. Example: Divide your body weight in pounds by 2.2 to get your bodyweight in kilograms. Then multiply this number by 1.2 to get your minimum daily intake of protein in grams. Eat an alkaline-forming diet rich in vegetables and low-glycemic fruits which are high in lysine (anti-viral). Moderate exercise at least 3 days per week. You should feel energized at the end of your workout and feel like you could do the whole workout again. Vitamin D+K 2,000 by Moss Nutrition: 1 capsule a day with food. Buffered C Select by Moss Nutrition: 2 capsules a day with food. Probiotic Select by Moss Nutrition: Probiotic containing 25 billion CFU’s taken once/day. MultiSelect by Moss Nutrition (high-potency multivitamin): 2 capsules a day with food. HPA Select by Moss Nutrition: 2 with breakfast. This contains the adrenal adaptogens Ashwagandha, Eleuthero, Panax Ginseng, Rhodiola and Licorice to help your body adapt to stress and strengthen your immune system over time. ImmunoSelect by Moss Nutrition: 2 with breakfast. This contains many of the herbs discussed in this article to boost your immune system and prevent infection. Zinc Select by Moss Nutrition: 1 capsule a day with food, preferably the largest meal of the day to prevent nausea. Cordyceps Select by Moss Nutrition: 2 capsules twice a day with or without food taken through cold and flu season. Colostrum Select by Moss Nutrition: 2 twice a day with food for 4 weeks at the beginning of cold and flu season. -Take 1 capsule of Buffered C Select every hour. -Take 2 capsules of ImmunoSelect every 2 hours. -Take 1 capsule of Lauric Select by Moss Nutrition every 2 hours. -Take 1 capsule of Zinc Select three times a day while fighting infection with plenty of food. You may only be able to tolerate 2/day. Zinc lozenges are also helpful. -Take 2 capsules of CurcuSelect by Moss Nutrition three times a day with food. This is a highly absorbable form of curcumin. -Take a hot Epsom salt bath to the point of sweating to create an artificial fever. 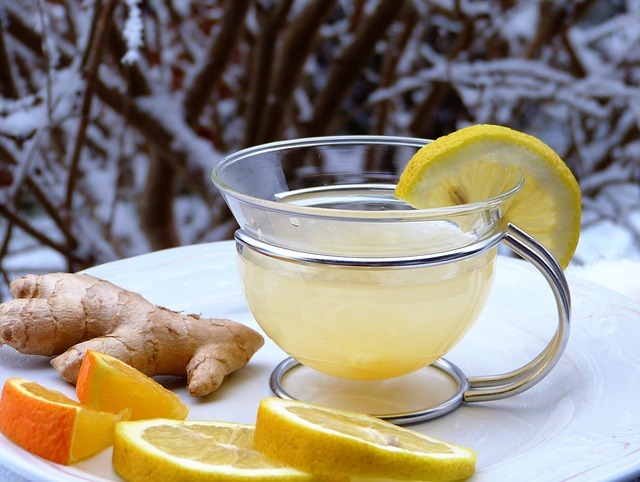 -Grate some ginger and drink hot ginger tea with lemon and Wildflower honey. ⇒ One old trick that seems to work is to lie on your side and fill one ear with 3% hydrogen peroxide and let it sit in your ear for 5-10 minutes. Then turn over on your other side and fill the other ear with hydrogen peroxide for 5-10 minutes. You’ll hear and feel a bubbling sensation which is the peroxide cleaning up your ear. No one knows why this works but it has worked for me and many others in the past. Sometimes no matter how good your supplement protocol and diet strategies are, you may still get sick. Stress will undo everything described above so getting sick can be a valuable message that you need to slow down and take care of yourself. You should seek immediate medical care if you are experiencing severe symptoms. I hope that these strategies will work for you so you can stay healthy this cold and flu season! 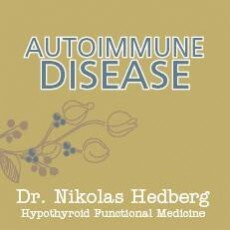 ← Does the Autoimmune Paleo Diet Work?